Daryl Johnson (Worcester Park, United Kingdom) on 26 June 2015 in Architecture. The mighty Seto-Ohashi suspension bridge dominates the horizon from the beach at Tamano. 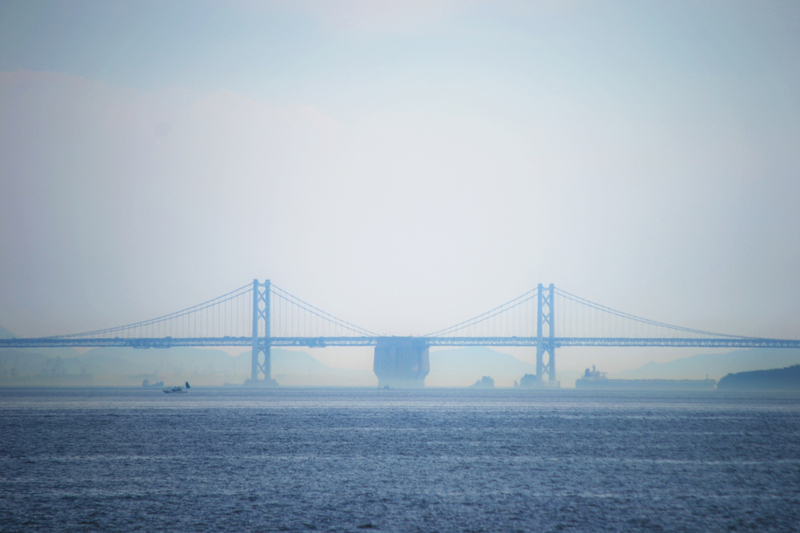 This bridge links the island of Shikoku to the main Japanese island of Honshu. What a beautiful atmospheric shot with the mist Daryl! For a moment, I thought that was a giant ship trying to pass under one of the spans . . but I find it is part of the structure. @Ronnie 2¢: That's exactly what I thought when I saw it (as in yesterday's image). When I realised it wasn't moving, I switched to the old zoom lens for a closer look! Neat shot of this magnificent bridge. YOU ARE travelling FAR!!! The mist is a great PLUS!